Height Zone World 61. 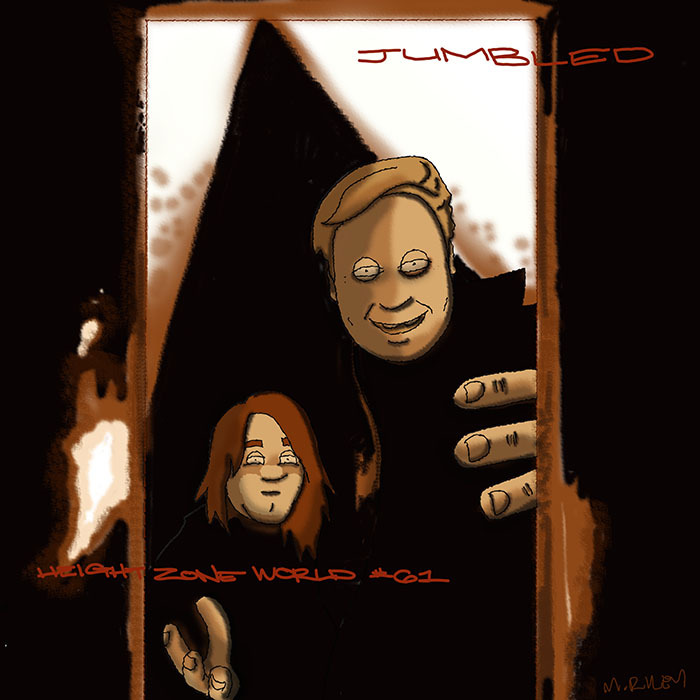 My guest this week is Jumbled, aka John Bachman. He’s an excellent producer and the man behind the Harford and Reckord tape label. He’s also a Baltimore City high school teacher. We’ve known each other for a while, and I was amped to get him in the mix. He tells me about growing up on a farm in Harford County, and the unique perspective he gained from his upbringing. We talk about his shift from playing in punk bands to rapping, and another shift from rapping to producing. We also talk about his entry into the world of Baltimore club music, by way of his new Club Classics album. Mike Riley’s art this week is an homage to Channel Live’s Station Identification. This episode is hosted by Splice Today. Posted on October 5, 2015 by height keech	Bookmark the permalink.